The remembrance of being cuddled by a mother from an early childhood — it still remains vividly as the most serene moment of life. The main agenda of chaise lounges is to define and serve such tranquillity more than any other types of seating. 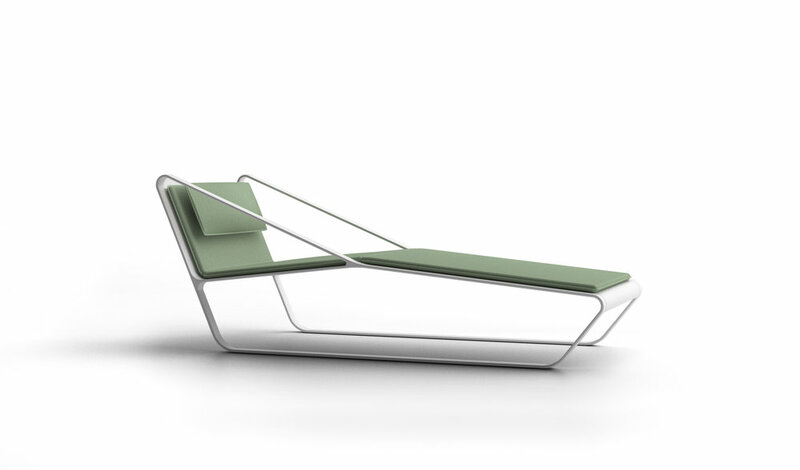 Inspired by a contour of bodies of a mother and a child playing together, Harbor is an in/outdoor chaise lounge with elegant curves embedded in a sleek gesture. By having the frame designed in a way which does not require any vertical structure underneath, the seat tenderly bounces when being sat, just like how a mother cuddles a child.